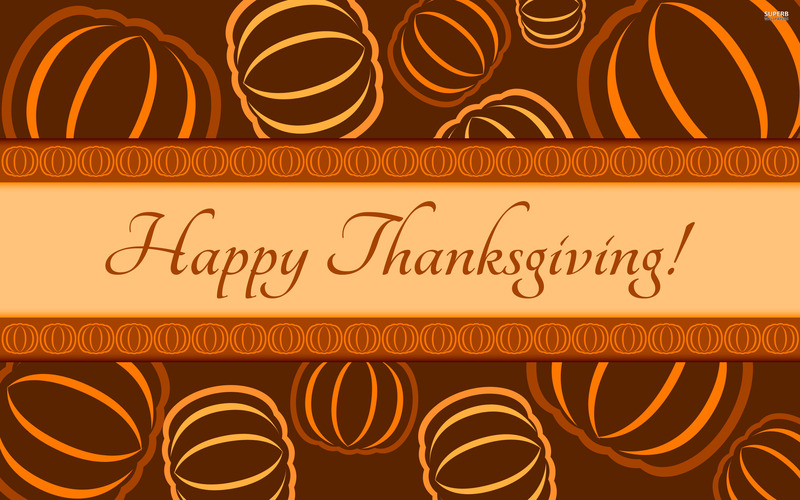 Have a safe and happy Thanksgiving! Gobble Gobble! 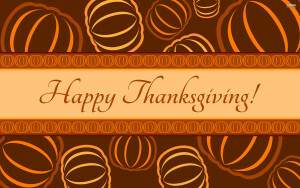 Posted in Boston, Key West, San Diego, Savannah, St. Augustine, Washington DC | Comments Off on Happy Thanksgiving! 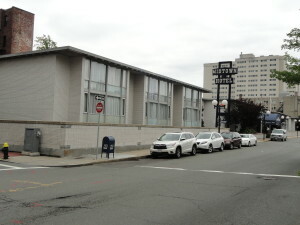 The Midtown Hotel in Boston was built in 1962. It is a pet friendly, two story, 159 room, “retro style” hotel. While the rooms have all the modern amenities found at more recently constructed hotels, the outside and the lobby make you feel like you’ve stepped back in time. There haven’t been any major overhauls or renovations made to change the original look of the hotel. (The carpeting and upholstery has been redone but even with that, it still has a retro feel). 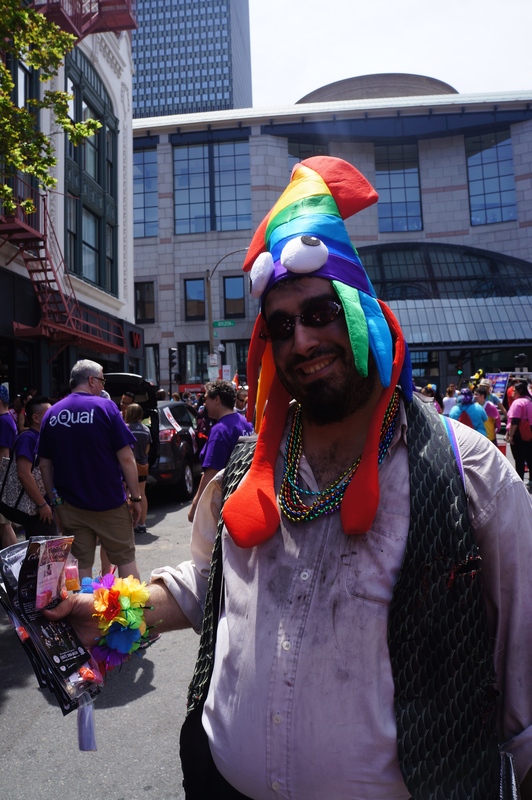 The hotel is located in the Back Bay section of Boston, close to great restaurants, shopping, the Christian Science Mother Church, and Fenway Park. The rates are very reasonable – usually about half to a quarter of the rates at other hotels in the area. 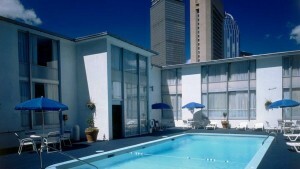 Also, there is an outdoor pool which is open in the spring and summer. 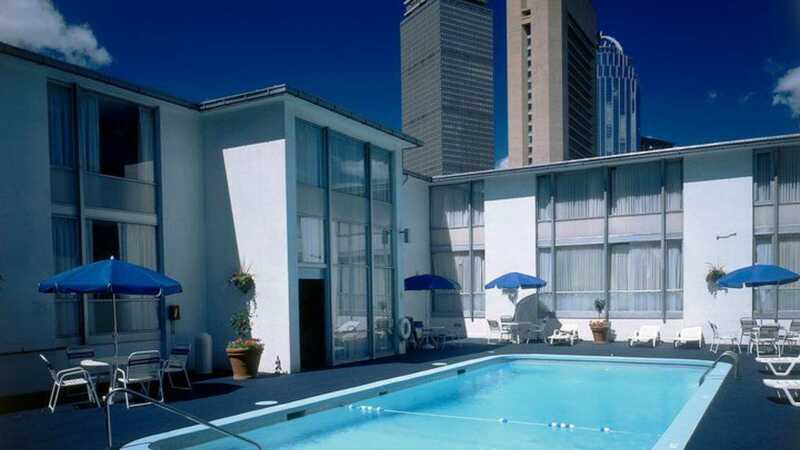 It is quite rare for Boston hotels to have an outdoor pool. Perhaps even more rare is the fact that several of the employees at the hotel have been working there for decades. The person I work most closely with at the hotel is Kevin O’Leary. He has been working as a bellman at the Midtown for over 30 years. Also, Kevin’s uncle, Cornelius “Connie” O’Callaghan was the bell captain at the hotel for many years. He worked there for close to 60 years before retiring in 2012. 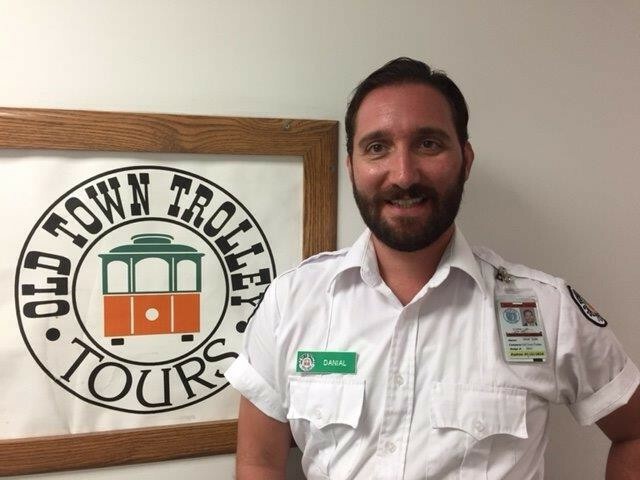 Connie, Kevin, and all the bellmen at the Midtown Hotel are dedicated supporters of Old Town Trolley Tours of Boston. 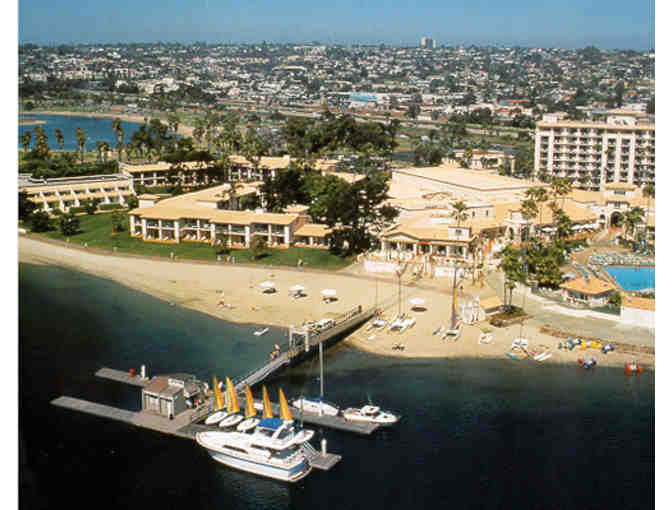 The Hilton San Diego Resort & Spa is set on the sands of Mission Bay and just six miles from San Diego International Airport. The hotel has 357 stylish guest rooms including eight spacious suites with beautiful views of Mission Bay. The Concierge Desk is led by Chief Concierge Gordon “Gordy” Berry with Concierge Kerry Martensen by his side. They both just recently came from the Loews Coronado Bay Resort. 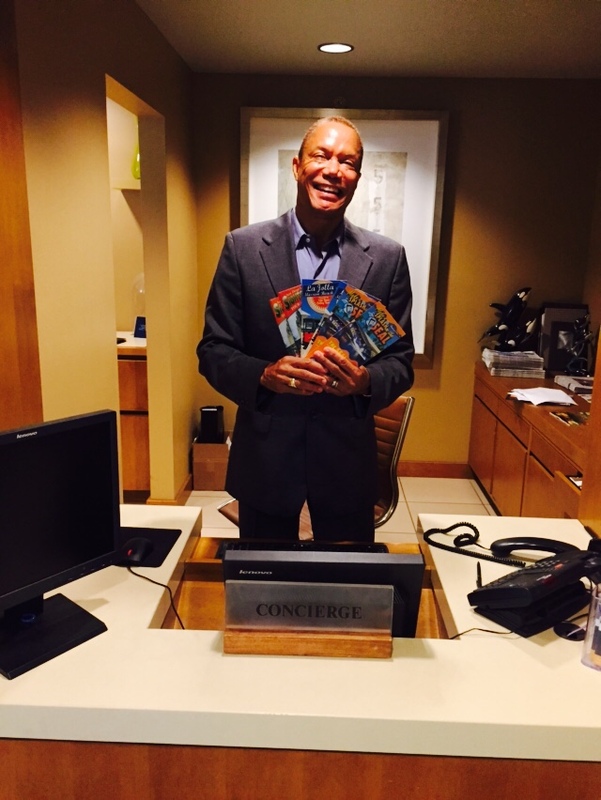 Gordy has been a Concierge for seven years and has been at the Hilton for four months. Both Gordy and Kerry are amazing supporters of the Old Town Trolley and SEAL Tours. They both offer our tickets through our online Trusted Tours ticket program and are some of the top sellers in the city. The Bell Staff are also great fans of our tours as we offer a complimentary shuttle to the hotel every morning and the Bell staff welcomes our Trolley every morning at their lobby. 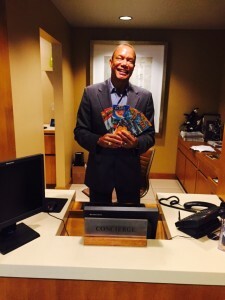 We thank the entire team at the Hilton San Diego Resort & Spa for being such wonderful partners! Have a safe and happy Veterans day! 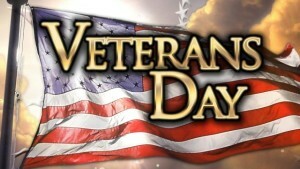 Don’t forget to thank a veteran and remember the soldiers we lost. Posted in Boston, Key West, San Diego, Savannah, St. Augustine, Washington DC | Comments Off on Happy Veterans day! “I was born in the “Great Lake State” of Michigan. That is where I developed a great love of nature and anything nautical. I love sailing and just being on the water in general, so Key West has been a natural fit for me. “Hi there, I’m Will Muñoz. I’m a 26 year old performer/props designer from Boston. I was born late in 1988, during the bleak winter months, and have since developed a keen dislike of warmth and the Sun. After moving to the South Shore, I got involved in theater through drama clubs and summer programs. Of course, since I looked less like Clooney and more like Buschemi, I ended up working behind the scenes for most of that time. This was also about the time I picked up an obsession with Halloween, creating detailed costumes and decorating the front yard of my parents’ home. And right about the time that they started worrying that I was focusing all my energy on a less-than-marketable skill set, I found Ghosts & Gravestones. 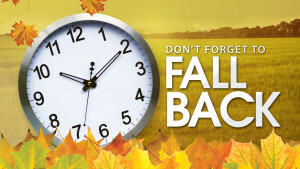 It’s that time of year again.. daylight savings time! 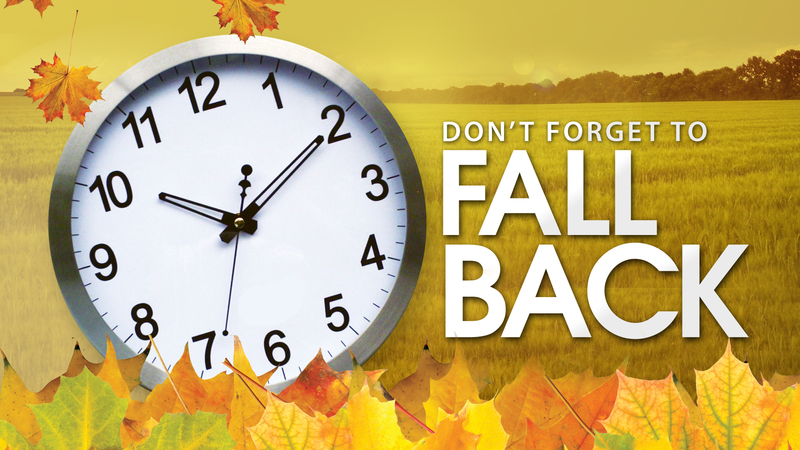 Remember to Fall Back (one hour)! It’s locals day here in Key West! Come on down for your trolley tour! Posted in Key West | Comments Off on It’s locals day! 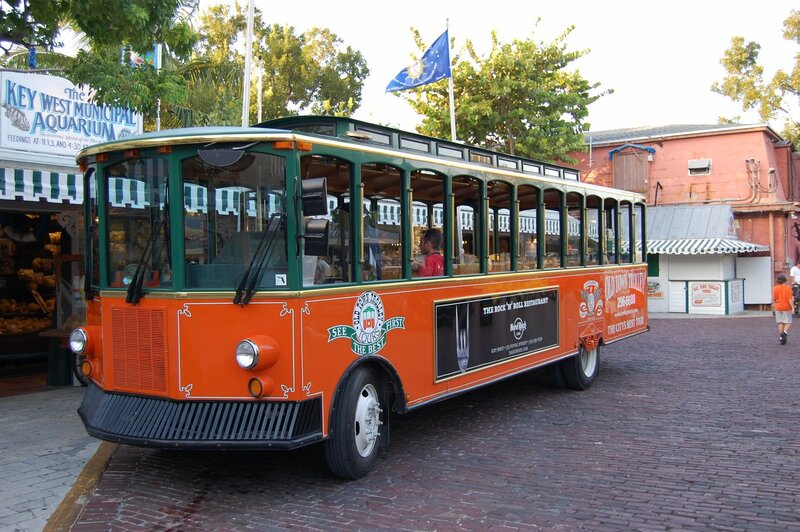 You are currently browsing the Old Town Trolley Tours Blog blog archives for November, 2015.